Continuing its gastronomic evolution and following the successful launch of Nama, a culinary concept based on the Japanese tradition of Washoku earlier this year, Aman is taking strides forward with the launch of Arva. Celebrating the bold flavours and simple ingredients of Italy’s rich culinary heritage, Arva has been conceived by Stefano Artosin, Regional Executive Chef of Amanpuri (Thailand), Amansara (Cambodia) and Amantaka (Laos), and Andrea Torre, recently appointed Executive Chef of Amanyangyun, Aman’s forthcoming property in China. Based on inventive cooking techniques and utilising just a few simple ingredients which take centre stage, Arva launched befittingly at Aman Venice on 1 October, and will be introduced to select Aman destinations over the coming months. 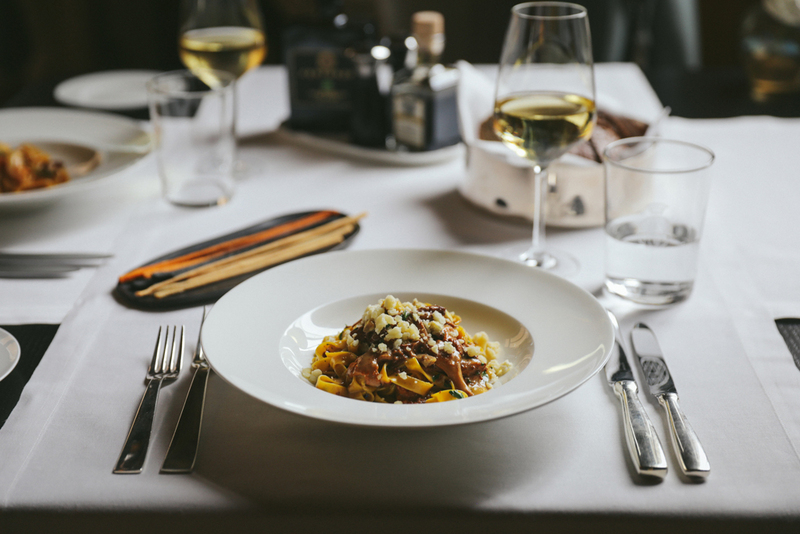 Each Arva will offer a warm, convivial and welcoming environment with dishes served family style, paying respect to the roots of Italian culinary traditions. Arva embraces the culinary history of Italy which has established a reputation for seasonal and sustainably sourced fare. This style of cuisine draws influence from Italian cooks who concocted dishes solely from what was available in the immediate gardens, forests and seas surrounding them, using their instinctive understanding of flavour and the creativity of necessity to prepare bold, heart-warming dishes that could be shared among family and friends. It is this concept to which Aman pays tribute, both in the name Arva, meaning ‘cultivated land’ in Latin and its philosophy: the shared enjoyment of uncomplicated flavours in a welcoming and congenial atmosphere. 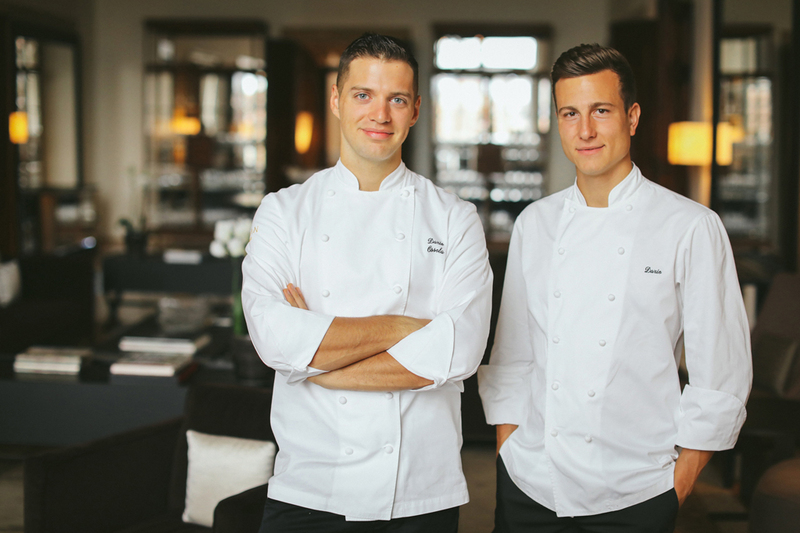 Recently launched at Aman Venice on 1 October, followed by Amanpuri in Phuket, Amanyangyun in Shanghai, Aman Tokyo, and Aman Sveti Stefan in Montenegro 2018, the approach at each Arva will stay true to its Italian heritage, however each menu will incorporate the finest local ingredients, in keeping with the Aman philosophy of seamless integration with the destination – extracting the best of the surroundings into an unparalleled dining experience, with each restaurant offering their own take on the concept. For Aman Venice, and in keeping with the local and familial philosophy of the concept, both chefs have worked with Creative Culinary Consultant for Aman Venice and owner of Michelin-starred D’O restaurant in Milan, Davide Oldani, and built on their relationships with local farmers, fishermen, market traders and niche suppliers to source the freshest Adriatic fish from the waters around Venice, single-source olive oils from Tuscany and Liguria, artisanal pasta, and daily produce from the Rialto market. The result is a considered selection of pastas, risottos, prime meats and seafood, generous sharing dishes, delectable gelati and sorbetti, as well as – in homage to Venice’s globally beloved cicchetti heritage – a wide range of small plates. Located adjacent to the hotel’s magnificent ballroom, Arva at Aman Venice features dishes such as chestnut tagliatelle, a hand-made pasta with Chanterelle mushrooms and castelmagno cheese, a red prawn crudo with wild fennel and citronette, and triglia di scoglio, local red mullet with roasted cauliflower and caper leaves. Stefano Artosin was raised in Padua, just outside of Venice, where food was a hearty family affair, and wonderful local flavours went hand in hand with a warm and jovial atmosphere. His professional career has taken him to some of the world’s most prestigious kitchens – from St Barths to New York to Sydney and on to Thailand, where he has shaped Amanpuri’s menus for over a decade. 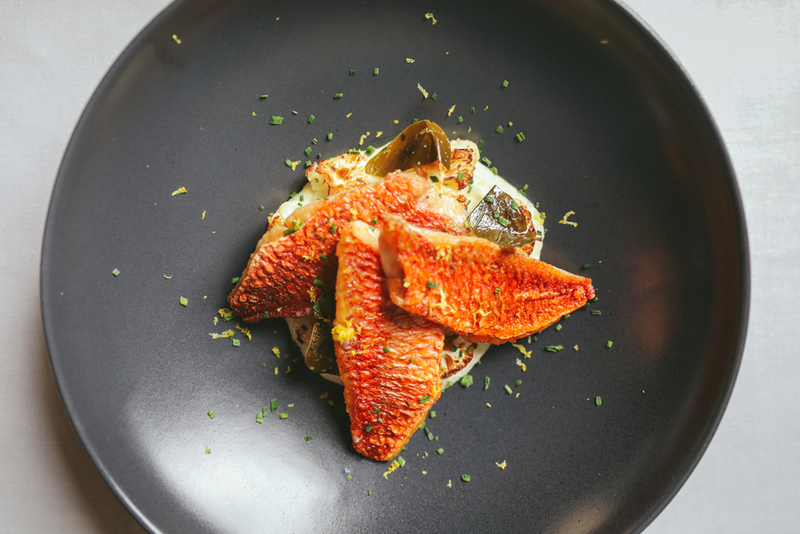 He has been immersed in numerous culinary traditions and techniques throughout this period, but Arva is the first opportunity for him to return to the kind of cooking and eating that inspired him in the first place – friendly, familial and uncompromisingly focused on flavour. 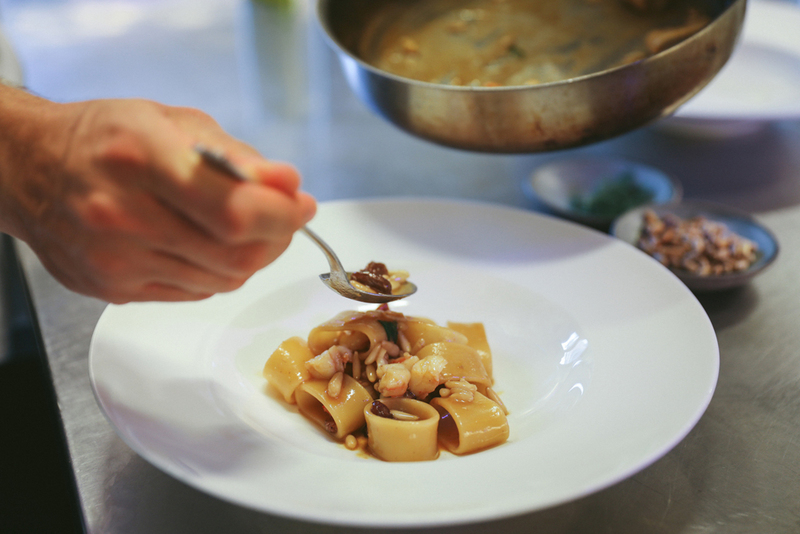 Born in Rome, Andrea Torre has been an evangelist for sustainable sourcing and a supporter of the Slow Food movement throughout his career, beginning with his time at Alceste al Buongusto, where he oversaw the making of pasta from sourcing raw ingredients to presenting them on the plate. 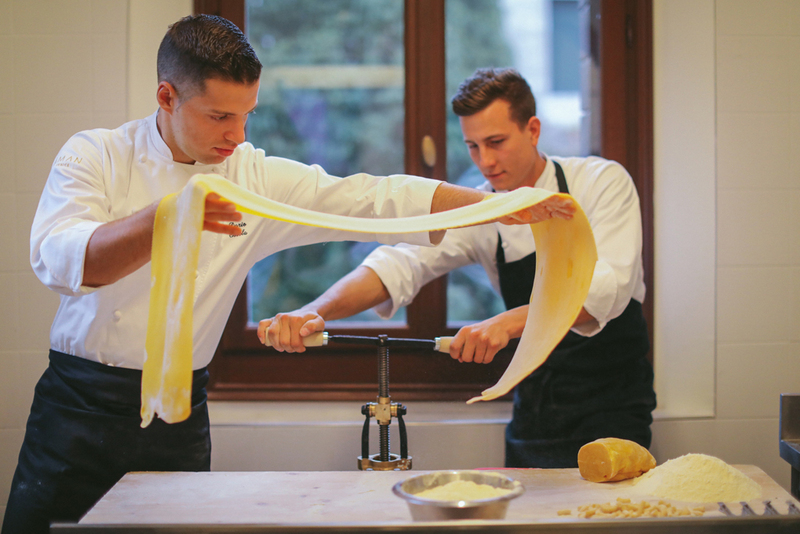 He brought this philosophy to the kitchens of some of London’s most celebrated Italian restaurants, including Zafferano and Cecconi’s, before returning to Italy to work with Michelin-starred Chef David Oldani, as Head Chef de Cuisine of Aman Venice. Although he is now based in Shanghai, masterminding the gastronomic offering at Amanyangyun (opening winter 2017), he is proud to leave his legacy to Aman Venice on the menus of Arva. Following the introduction of Nama in March, the opening of Arva marks the second gastronomic launch from Aman. Like Nama, Arva will be gradually unveiled at a succession of Aman destinations: merging Italian culinary concepts with Asian ingredients at Amanyangyun and Amanpuri in November; providing an alternative dining option to guests of Aman Tokyo in January 2018, and taking the authentic tastes of Italy across the Adriatic to Aman Sveti Stefan, Montenegro, later in 2018.